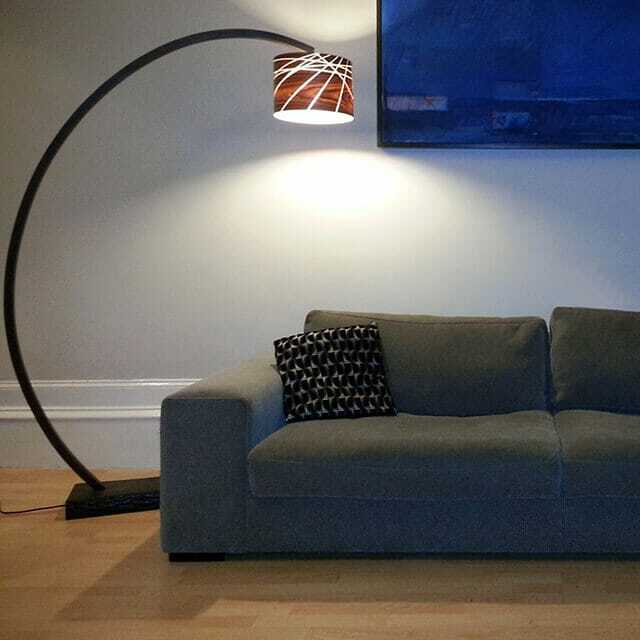 This beautiful modern lamp marries exquisite form with practical function. Glasgow designer Joachim King likes to use solid wood construction techniques borrowed from traditional chair-making and boatbuilding methods in his work. 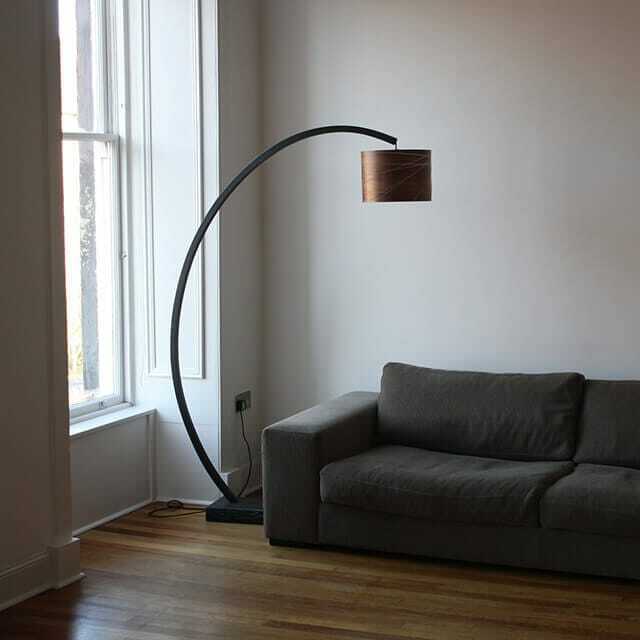 His influences are clear in the graceful curve of this deceptively strong lamp stand, which almost appears to float. It’s a wonderfully organic piece just begging to stand guard over your sofa while you curl up and relax beneath. The power cable is discreetly concealed inside the slim wooden stem and the switch is conveniently located on the bulb holder. The lamp is shown with Joachim’s White Ash Lines Pendant Lampshade which is available separately, or you can use any shade with a 1-inch standard ring.